Aging alone is not the only factor accounting for poor bone health in older men. 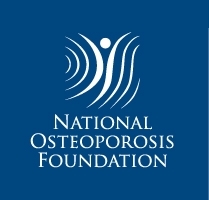 There are modifiable factors and lifestyle choices that may influence bone health and result in higher bone density and lower fracture risk even in very old men. 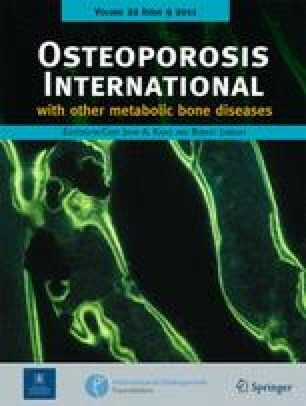 The aim of this cross-sectional analysis was to identify the factors associated with areal bone mineral density (BMD) and their relative contribution in older men. The Concord Health and Ageing in Men Project is a population-based study in Sydney, Australia, involving 1,705 men aged 70–97. Data were collected using questionnaires and clinical assessments. BMD of the hip and spine was measured by dual X-ray absorptiometry. In multivariate regression models, BMD of the hip was associated with body weight and bone loading physical activities, but not independently with age. The positive relationship between higher BMD and recreational activities is attenuated with age. Factors independently associated with lower BMD at the hip were inability to stand from sitting, a history of kidney stones, thyroxine use, and Asian birth and at the spine, chronic obstructive pulmonary disease, paternal fracture history, and thyroxine use. Higher body weight, participation in dancing, tennis or jogging, quadriceps strength, alcohol consumption, and statin use were associated with higher hip BMD, while older age, osteoarthritis, higher body weight, and aspirin use were associated with higher spinal BMD. Maintaining body weight, physical activity, and strength were positively associated with BMD even in very elderly men. Other parameters were also found to influence BMD, and once these were included in multivariate analysis, age was no longer associated with BMD. This suggests that age-related diseases, lifestyle choices, and medications influence BMD rather than age per se. The CHAMP Study is funded by the Australian National Health and Medical Research Council (NHMRC Project Grant No. 301916) and the Ageing and Alzheimer’s Research Foundation (AARF). Kerrin Bleicher’s Ph.D. research is supported by the AARF scholarship. Many thanks to the scientists, Lynley Robinson and Beverly White, for assessing the scans for vertebral deformities.